NEW YORK, June 13, 2014 /PRNewswire/ -- Grey announced that its Eighth Annual Legends of Music Seminar will feature Courtney Love, an iconic figure in music and pop culture. The seminar will take place at the 61st Cannes Lions International Festival of Creativity on Wednesday, June 18, 2014 at 1pm Cannes time in the Grand Audi Theatre at the Palais des Festivals. Courtney Love will be interviewed by Tor Myhren, Worldwide Chief Creative Officer of Grey and President of Grey New York. Tor Myhren said, "Courtney is fearless. She has made brave choices and followed her heart as an artist. A rockstar, a writer, a mother, a Golden Globe nominated actress, a survivor--she has reinvented herself and her brand more than most people can dream." The recounting of her creative journey promises to be a high point of what has become one of Cannes' most popular music events. Musician. Songwriter. Actress. Activist. Celebrity. Provocateur. There are few artists who fit into all of the above categories, performers whose life and work are impossible to pigeonhole. There is only one Courtney Love. The extraordinary music she created with Hole and on her own broke totally new ground. The lyrics are both literate and mordant and possessed of extraordinary intellectual and observational acuity. They are combined with music of singular power and riveting emotional intensity. She has enjoyed not only real rock credibility but also exceptional commercial success, especially with "Live through This" and "Celebrity Skin" which were both certified multi-platinum and Grammy nominated. As front-woman of Hole and solo artist in her own right, Love's stage persona that John Peel once described as "verged on the heroic… generating a tension which I cannot remember having felt before from any stage" has the presence and made her a significant iconic figure in music and pop culture. 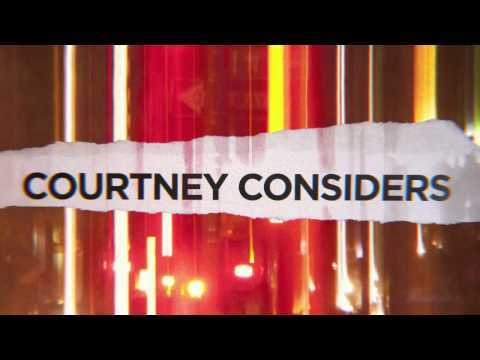 In addition to her many music-related activities – including impassioned involvement in a variety of artists' rights-related issues – Courtney is also continuing to pursue her love of acting. Love made her cinematic debut with a small role in Alex Cox's 1986 classic, Sid and Nancy, followed by widely praised appearances in a number of independent films, including 1996's Basquiat and Feeling Minnesota. Her much-celebrated turn as the tragic Althea Flynt in the 1996 film, The People Vs. Larry Flynt, was a career breakthrough, earning her a Golden Globe nomination, along with "Best Supporting Actress" awards from the New York Film Critics Circle and the Boston Society of Film Critics, "Most Promising Actress" from Chicago Film Critics Association, and "Best Supporting Actress" runner-up from the Los Angeles Film Critics Association. Courtney furthered her calling as an actress with acclaimed performances in such films as 1999's 200 Cigarettes, 1999's Man On The Moon (which reunited her with Larry Flynt director Milos Forman), 2000's Beat, 2001's Julie Johnson, and 2002's Trapped. Love also appeared as a youth in several productions at the prestigious Ashland, Oregon Shakespeare Festival. As a fashion designer, Love has created limited edition capsule lines in several countries while preparing for the global launch of her own labels, Never the Bride and Magdelene. Love recently launched a new digital channel that will highlight her latest picks in fashion, beauty, animation and discoveries in new music and art from all over the world. May 2014 saw the release of Courtney Love's first new music in four years. Love has been a practicing Buddhist since 1989 and has been a vocal advocate for gun regulation, LGBT rights and feminist issues.